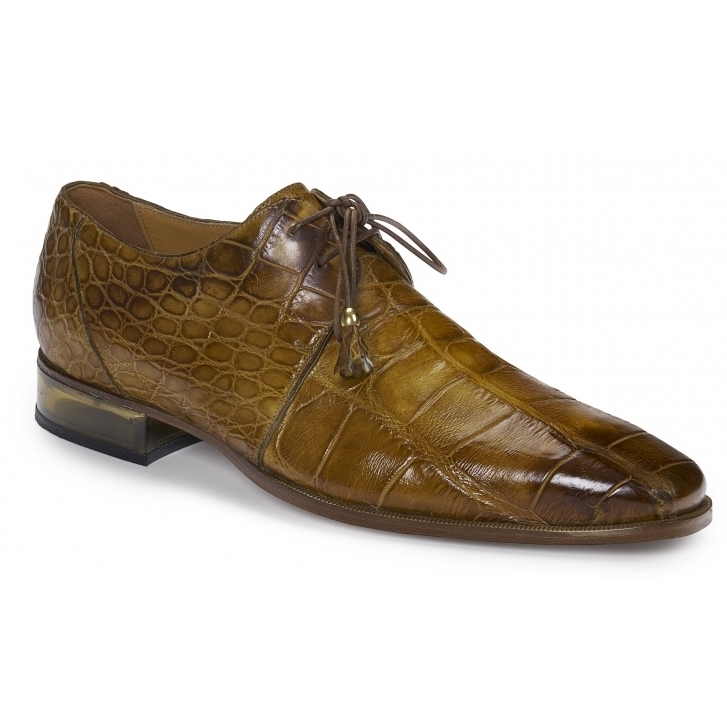 A most unique finish separates this genuine alligator derby style lace up dress shoe from other exotics. Mauri has done it again with the fine details like the acrylic / transparent heel, leather lining and leather sole. Made in Italy.